See Bandung's surrounding nature and greenery with this 8-hour exploration outside the city! this is first time i booked a tour package with klook, i booked the tour package to kawah putih and tangkuban perahu.. and we met a fantastic driver and tour guide, Ega.. he suggested to start the tour earlier to avoid the bad weather and the crowd, which turned up to be a brilliant idea.. Ega is very flexible with the schedule.. he checked with us on our preference and adjusted the schedule accordingly.. he knew really well about bandung, helped us to take wonderful photo and recommended good food.. he is also a person very nice, open-minded and funny to talk to.. thank you Ega.. really appreciate on your companion these two days.. will surely return to bandung and Indonesia again!! Experience Bandung's less-explored side with this fun eight-hour tour outside of the city, which showcases its greener, more natural side. With its numerous volcanoes, hot springs, as well as tea plantations, there's a lot of excitement waiting for all adventure-seekers and nature lovers! Get picked up at your hotel in the city, then head to the nearby Tangkuban Perahu, a volcano located only 30 kilometers outside of the city. 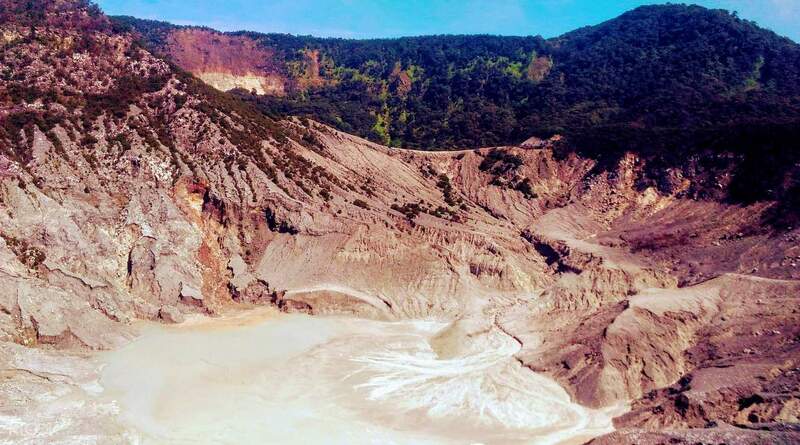 Check out the volcano's three craters as you walk through them: Kawah Ratu, Kawah Domas, and Kawah Upas. At Domas Crater, you'll get to marvel at the sight of the multiple hot geysers, where you can even buy some delicious eggs that were freshly-boiled in the hot water! 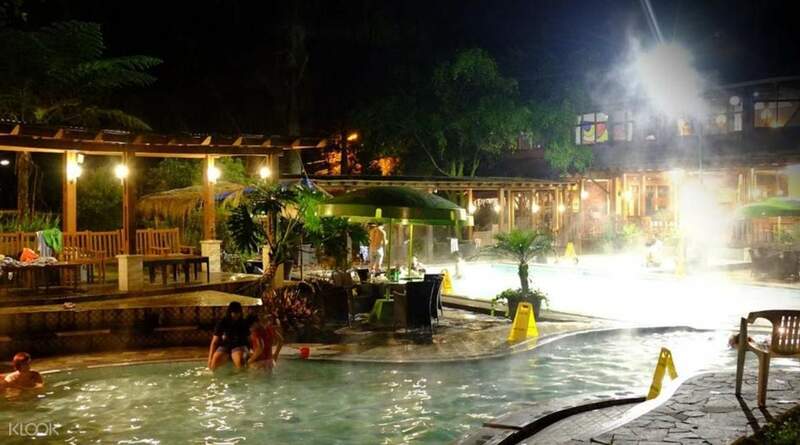 Head to Ciater Hot Spring and relax in the small pools of water, fed by nearby springs and streams that have been heated up by the volcanoes in the area. 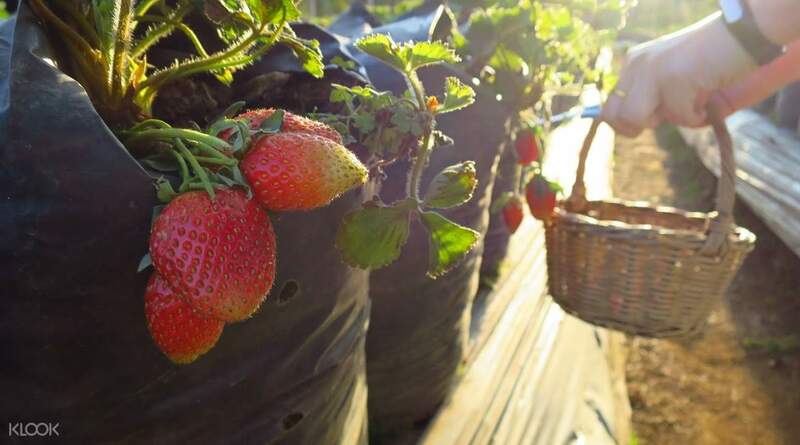 Take a quick break for lunch at a local restaurant, at your own expense, before you go strawberry picking at a nearby farm. 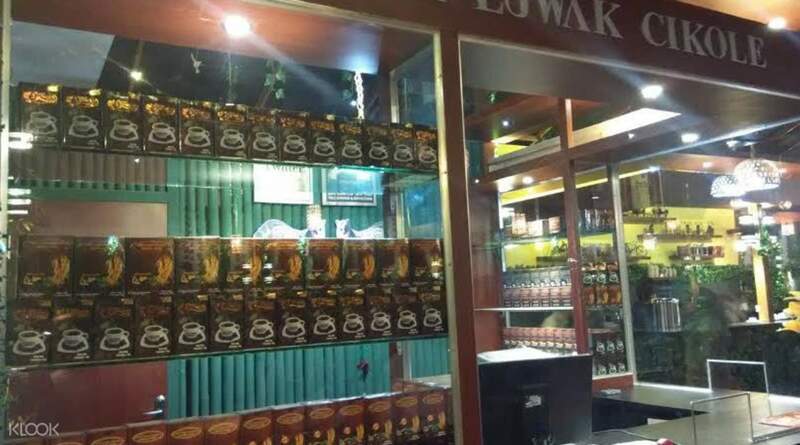 Your last stop for the day is Cikole Coffee Plantation (Kopi Luwak Cikole,) known for producing delicious civet coffee. You'll be able to relax as you try a cup of the most expensive coffee in the world, before you head back to the city and get dropped off back at your hotel. Nice experience with a really nice view. The driver Herdi was great and nice. He drives safely. Note: when you arrive at the mountain, there will be some 'local guide' offering their services. You better not make any deal with them. They will charge you $25/couple and force you to buy souvenirs with ridiculous price. You can explore the mountain by yourself, no guide needed. Nice experience with a really nice view. The driver Herdi was great and nice. He drives safely. Note: when you arrive at the mountain, there will be some 'local guide' offering their services. You better not make any deal with them. They will charge you $25/couple and force you to buy souvenirs with ridiculous price. You can explore the mountain by yourself, no guide needed. this is first time i booked a tour package with klook, i booked the tour package to kawah putih and tangkuban perahu.. and we met a fantastic driver and tour guide, Ega.. he suggested to start the tour earlier to avoid the bad weather and the crowd, which turned up to be a brilliant idea.. Ega is very flexible with the schedule.. he checked with us on our preference and adjusted the schedule accordingly.. he knew really well about bandung, helped us to take wonderful photo and recommended good food.. he is also a person very nice, open-minded and funny to talk to.. thank you Ega.. really appreciate on your companion these two days.. will surely return to bandung and Indonesia again!! this is first time i booked a tour package with klook, i booked the tour package to kawah putih and tangkuban perahu.. and we met a fantastic driver and tour guide, Ega.. he suggested to start the tour earlier to avoid the bad weather and the crowd, which turned up to be a brilliant idea.. Ega is very flexible with the schedule.. he checked with us on our preference and adjusted the schedule accordingly.. he knew really well about bandung, helped us to take wonderful photo and recommended good food.. he is also a person very nice, open-minded and funny to talk to.. thank you Ega.. really appreciate on your companion these two days.. will surely return to bandung and Indonesia again!! Klook has done a perfect job again! This tour group is so good! We had Gita as our tour guide and she's really helpful and knowledgeable! History of Bandung, Facts on the places of interests. We couldn't speak the native language And she helped to translate from bargaining with the local for our shopping to ordering of food! She has even recommended us the areas to do shopping, food and even checked out the locations of our shopping requests! Definitely the right choice of tour for your Bandung Trip. Highly recommended and thank you again, Gita and the Driver for bringing us around Bandung! Klook has done a perfect job again! This tour group is so good! We had Gita as our tour guide and she's really helpful and knowledgeable! History of Bandung, Facts on the places of interests. We couldn't speak the native language And she helped to translate from bargaining with the local for our shopping to ordering of food! She has even recommended us the areas to do shopping, food and even checked out the locations of our shopping requests! Definitely the right choice of tour for your Bandung Trip. Highly recommended and thank you again, Gita and the Driver for bringing us around Bandung! We had a really great experience because the driver Ega and local agency were extremely helpful and responsive to some misunderstandings and problems. First, due to problems with the Klok website and its write-ups, we discovered, to our surprise and dismay, on starting the drive that the hot spring was not included. The driver promptly contacted the agency and they agreed to change the itinerary, without any push backs. Second, after touring the volcano on our own, we could not find the driver and the car in the parking lots. Due to poor mobile connections up in the mountain, the driver did not receive our WhatsApp messages or call. We managed to contact the agency by emails. The agency was able to contact the park staff and security who found the driver and he then found us, waiting in the wrong location in the parking lots. It turned out we made a mistake in the location of the car. The driver was waiting for us all the time. Despite our mistake, which we acknowledged immediately, the agency and the driver offered to waive the limit on the tour duration to make up for the time we lost! We were extremely impressed with how Ega, the driver and the agency handled the two problems so responsively and constructively. Handling unexpected problems well is the real test of quality and excellence. We had a really great experience because the driver Ega and local agency were extremely helpful and responsive to some misunderstandings and problems. First, due to problems with the Klok website and its write-ups, we discovered, to our surprise and dismay, on starting the drive that the hot spring was not included. The driver promptly contacted the agency and they agreed to change the itinerary, without any push backs. Second, after touring the volcano on our own, we could not find the driver and the car in the parking lots. Due to poor mobile connections up in the mountain, the driver did not receive our WhatsApp messages or call. We managed to contact the agency by emails. The agency was able to contact the park staff and security who found the driver and he then found us, waiting in the wrong location in the parking lots. It turned out we made a mistake in the location of the car. The driver was waiting for us all the time. Despite our mistake, which we acknowledged immediately, the agency and the driver offered to waive the limit on the tour duration to make up for the time we lost! We were extremely impressed with how Ega, the driver and the agency handled the two problems so responsively and constructively. Handling unexpected problems well is the real test of quality and excellence. We booked 3 Bandung tours from klook. The name of the tours are Lembang Day Tour, Kawah Putih Tour and Bandung Volcano Tour. Therefore, this review will be a compilation of all 3 tours. We had the same amazing guide for 3 days. His name is STEVEN. A really nice and thoughtful tour guide. He would give us tips on where to go for shopping and where we can get it at the best price. All 3 days were forecasted to rain. He would carry with him umbrellas just in case we need it. Isn’t he thoughtful. He would also alight us right at the entrance so that we need not walk from the carpark to the attraction. After sightseeing, he would also drive the vehicle to the entrance to pick us up. He also provided us with a bottle of water each. Although the timing for the tours are from 9am - 5pm. He is very kind and flexible with it, on 2 of the 3 days we changed the timing to 8am - 4pm to avoid the crowd and rain. He has a good and stable driving skills. The vehicle was also spacious and comfortable. He helped us took a lot of photos during the 3 days tour. He has been to this attractions many times, he knows where best to take the photos and how to take it. He even made a video of the photos that he took of us. Isn’t he sweet. Thank you, STEVEN! The tour was amazing because of STEVEN! We booked 3 Bandung tours from klook. The name of the tours are Lembang Day Tour, Kawah Putih Tour and Bandung Volcano Tour. Therefore, this review will be a compilation of all 3 tours. We had the same amazing guide for 3 days. His name is STEVEN. A really nice and thoughtful tour guide. He would give us tips on where to go for shopping and where we can get it at the best price. All 3 days were forecasted to rain. He would carry with him umbrellas just in case we need it. Isn’t he thoughtful. He would also alight us right at the entrance so that we need not walk from the carpark to the attraction. After sightseeing, he would also drive the vehicle to the entrance to pick us up. He also provided us with a bottle of water each. Although the timing for the tours are from 9am - 5pm. He is very kind and flexible with it, on 2 of the 3 days we changed the timing to 8am - 4pm to avoid the crowd and rain. He has a good and stable driving skills. The vehicle was also spacious and comfortable. He helped us took a lot of photos during the 3 days tour. He has been to this attractions many times, he knows where best to take the photos and how to take it. He even made a video of the photos that he took of us. Isn’t he sweet. Thank you, STEVEN! The tour was amazing because of STEVEN! Went to see the volcano, hot springs, floating market and learnt to play the Angklung instrument. Although we were told when we arrived at certain places we would have to pay extra to do things, would have been nice to be told before we went rather than when we arrived. However, overall, our guide pampam was great and was always happy to answer any questions. Went to see the volcano, hot springs, floating market and learnt to play the Angklung instrument. Although we were told when we arrived at certain places we would have to pay extra to do things, would have been nice to be told before we went rather than when we arrived. However, overall, our guide pampam was great and was always happy to answer any questions. My tour guide was Mr Hedie. He was more of a driver than a tour guide. However overall it was a good experience. Bandung's traffic is horrendous and I must applaud Mr Hedie for his driving skills too. Enjoyed all the places especially the restaurant we went to for lunch which was superb. My tour guide was Mr Hedie. He was more of a driver than a tour guide. However overall it was a good experience. Bandung's traffic is horrendous and I must applaud Mr Hedie for his driving skills too. Enjoyed all the places especially the restaurant we went to for lunch which was superb. Pampam is experienced and the tour started and ended on time. He is also flexible to our request. Pampam is experienced and the tour started and ended on time. He is also flexible to our request. The attractions - Volcano & Coffee Plantation - are interesting. But beware of touting to provide "tour guide" service by souvenirs peddlers at volcano. They were attentive and provided great photography service hence made us felt obliged to buy their expensive souvenirs. The attractions - Volcano & Coffee Plantation - are interesting. But beware of touting to provide "tour guide" service by souvenirs peddlers at volcano. They were attentive and provided great photography service hence made us felt obliged to buy their expensive souvenirs.